It is that time of year again, time to get ready for one of my favorite holidays, Thanksgiving! Even though I love this holiday, prepping for Turkey Day can be stressful. 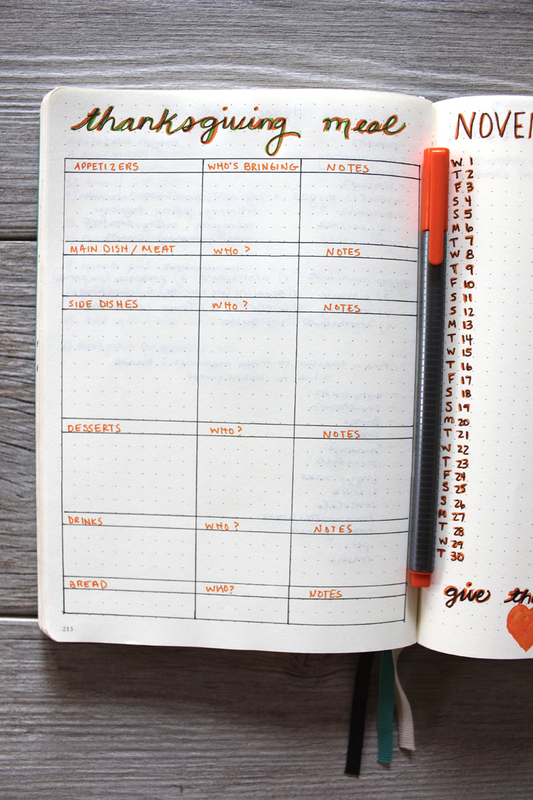 But you can get organized and stay on track with a Thanksgiving themed bullet journal! If you are anything like me, you have used a bullet journal for many holidays, recently just for Halloween and next for Christmas. But a Thanksgiving bullet journal might be one of the most beneficial ones. 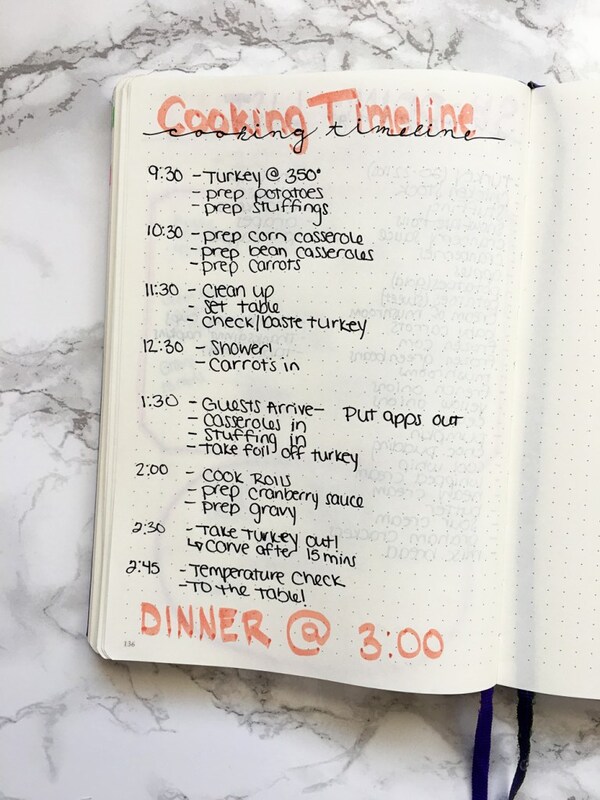 From planning the big dinner to a bucket list and more, you can make a bullet journal full of Turkey Day themed pages, keeping you organized and stress free this holiday season. Let’s start with the most detailed area of your Thanksgiving bullet journal, Thanksgiving dinner. Are you hosting dinner this year? ProductiveandPretty.com has some great examples of pages to keep track of prepping, cooking and hosting Thanksgiving dinner. First, start with the guest list so you know how many people you are cooking for. Next, the menu! You want to make sure you have the full menu planned out before you head to the store and start cooking. This will contain what you are going to make and the ingredients along with how long it takes to cook. After you have your menu, it is time to make a grocery list. Try to break it into sections for more efficient shopping. The night before Thanksgiving, make sure your timeline page is ready. This is where you are going to keep track of everything you are cooking, when you should start cooking and how long it will take so that everything is ready at the right time for dinner! After you have dinner all figured out, time to prep the little details. If you are going to have a big gathering, dedicate a page to a dinnerware list, where you can keep track of how many place settings are necessary and what types of dishes you need (plates, silverware, cups, etc.). Looking to make it really fancy? Make a seating chart! Want your house to be spotless for dinner? This is another area you need to prepare and can do with your bullet journal. Keep a list of things that you need to do to get the house clean and have a checklist to keep track of what you have accomplished. Of course, you have to have the perfect outfit for Turkey Day! Dedicate a section of your bullet journal to your outfit. Don’t forget to include jewelry, accessories and shoes! Thanksgiving Day is known for airing some big football games and other great programs. Start a list of when the Macy’s Thanksgiving Day Parade will air along with the football games and any other holiday shows or movies you are looking forward to. Not hosting a dinner? You can still get detailed in your bullet journal! Just make some adjustments like keeping a list of what you are responsible for making and bringing as well as a list of what everyone else is bringing! 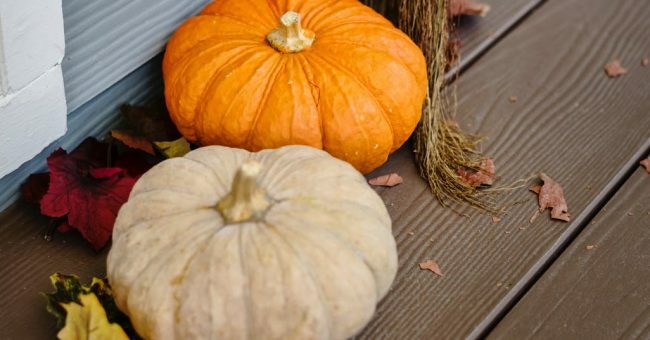 After you have dinner and Thanksgiving Day all sorted out, it is time to plan for decorations and fall activities to get you in the mood for Turkey Day! Ourmindfulllife.com features Thanksgiving pages that are perfect for any Thanksgiving bullet journal. It can be a pretty crazy and busy time around Thanksgiving. Plan a calendar for the month of November and include any vacations, pumpkin patch visits, movie nights or any other activities you want to get done this month. Maybe even add some Christmas shopping in there! You have to decorate for Thanksgiving! Keep track of all of your beautiful décor with a bullet journal and also plan on where you will be displaying all of your Thanksgiving décor. I came across the mood tracker idea when browsing ourmindfulllife.com. I love this idea because it helps me understand my moods each day. There are a few different ways you can make a mood tracker. My favorite is by coloring in a leaf. Draw a big leaf and section it off into the days of the month (see photo). Then, make a legend and designate different colors to different moods. Each night, color in the day with the corresponding color/mood. Also, make note of the weather to see if you find a correlation between weather patterns and your mood. This might be the most important part of your Thanksgiving bullet journal and my personal favorite! Designate a page (or two!) to creating a list of what you are grateful for. I like to do this in many different ways. First, I do a page that lists everything I am grateful for this year and I can go back and read it when feeling down. Next, I have a daily list where each day, I write down something different that I am grateful for. I also like to keep track of how I celebrate my gratitude, like volunteering. I make a calendar of the different ways I am going to repay my gratitude and where I am going to donate or volunteer. You can check out loveourreallife.com for more ideas. 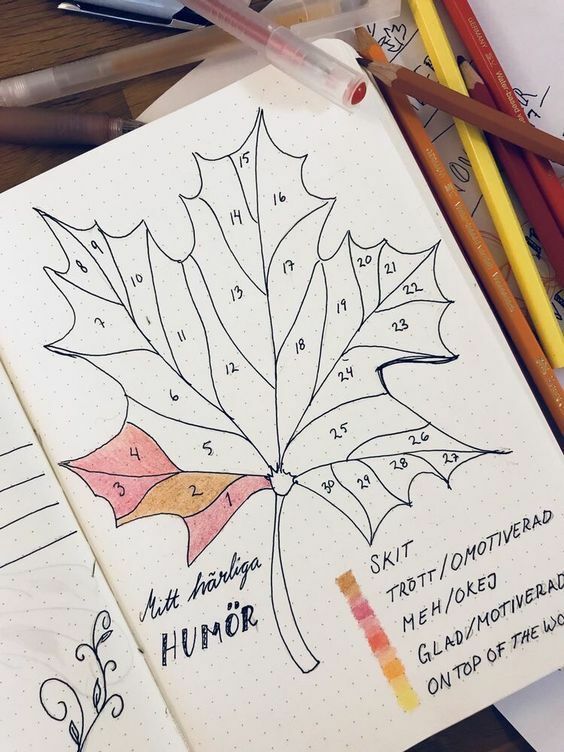 Looking for inspiration on how to decorate your bullet journal and make it more Thanksgiving themed? You can find tons of printable tables and doodles on Pinterest! Don’t forget to add your own touch with stickers and washi tape! Also, check out our blog to find tips and tricks to find the inspiration to get your bullet journal started!